Seal joints or seams of a structure or piping with our wide range of variant caulks and sealants. 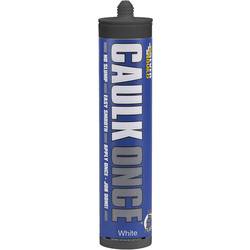 Our selection of caulks are suited for both home and professional use. 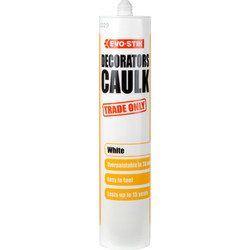 At Toolstation, we stock a variety of decorator caulks from trusted brands such as Evo-Stik, Everbuild and Geocell. 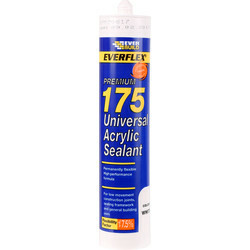 For speedy installations, the Everbuild caulk once has a premium acrylic formula. This high-quality decorator caulk is well-suited for professionals, as it is fast drying, permanently flexible and can be painted over in just one hour. 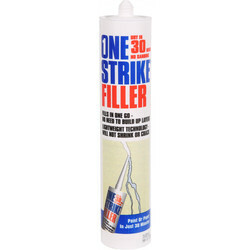 To fill fine cracks, choose the Evo-Stik trade decorators caulk. 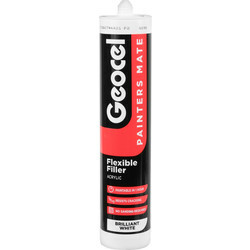 This water-based acrylic caulk is ideal for filling gaps around windows, doors and skirting boards before decorating. 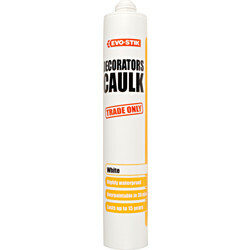 The Evo-Stik trade decorators caulk can be painted over and sanded soon after application. For applications that move, a flexible sealant is required. 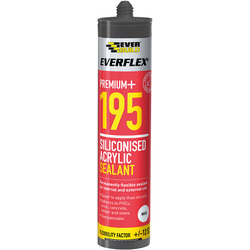 The Everbuild siliconised acrylic sealant is formulated from an advanced polymer, making it easy to apply, highly flexible and suited to areas with high humidity, such as bathrooms and kitchens.